The Mia Glass Collection is beautifully appointed with two-tone detailing and beveled edges. 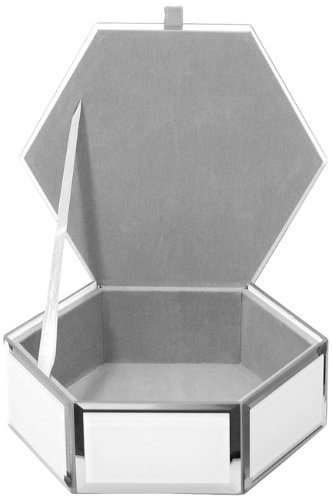 The glass hexagon storage box features a soft interior and is completely open to store all of your valuables. This box is 5" in diameter and 1.5" tall.